Billy McFarland, 26, agreed before a federal court in New York to forfeit more than $26 million and pleaded guilty to two counts of wire fraud, a charge that relates to financial deceit, prosecutors said in a statement. Billy McFarland falsified statements to show investors that his company earned millions of dollars. New York: The entrepreneur behind a luxury music festival in the Bahamas that collapsed in chaos admitted Tuesday that he swindled investors by vastly overstating his financial health. He would have faced up to 20 years in prison for each count but is expected to be sentenced to less time due to his guilty plea. McFarland was the force behind the Fyre Festival, which had billed itself as the ultimate upscale getaway amid a fast-growing market for music events. Hundreds of partygoers headed to the Bahamas, some paying more than $100,000 each, but instead found tents that would have looked in place in relief camps and cuisine that was just rudimentary sandwiches. Prosecutors said McFarland had repeatedly misrepresented himself to build his Fyre Media tech company and the ill-fated festival. He falsified statements to show investors that his company earned millions of dollars from April 2016 and February 2017 through talent bookings, which in reality has grossed just $57,443, prosecutors said. The US Attorney's office said that at least 80 investors fell victim to his scheme, losing more than $24 million. McFarland also falsely boasted about Magnises, a credit card and private club geared at millennials, prosecutors said. He told investors that he sold Magnises for $40 million while in truth no sale had taken place, they said. McFarland has also been facing a class action lawsuit from festival-goers who said they were deceived. Numerous festival-goers posted pictures on social media of shambolic scenes when they arrived, leading to online mockery of the high prices many had paid. 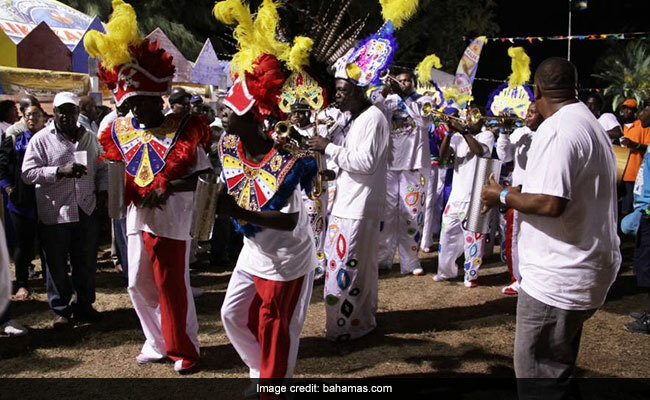 The government of the Bahamas, a country of more than 700 islands and cays where tourism is the largest industry, apologized and assisted in evacuations -- but stressed it was not involved directly in the event.